Sascha Blume, Johnny McKeon and Sarah Isaacson start out the show with the announcement that Johnny McKeon no longer works for MIX105.1 in Salt Lake City. Comedian Dwayne Perkins joins the show via telephone to discuss his new film “Dying to Kill” which you can watch on Hulu!He also discusses how he conquered creating a motion picture horror film through ‘crowed funding.’ We also discuss the similarities between comedy and horror movies and how he is able to balance the realms of media! 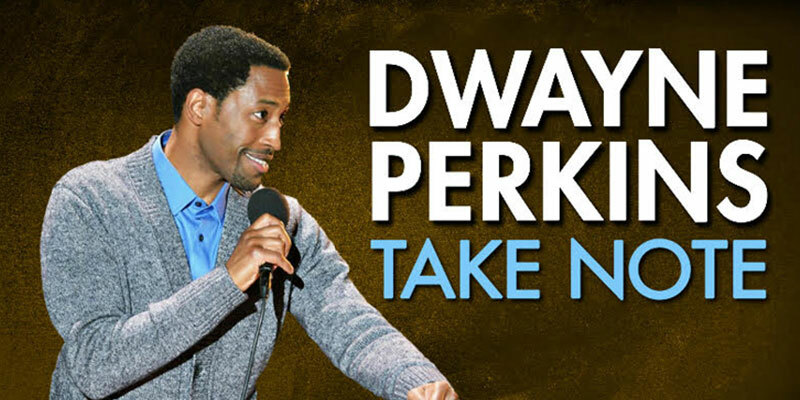 Dwayne tells the story behind his new Netflix Comedy Special “Take Note” and how it came to be. He also explains the differences and similarities between comedy audiences stateside and internationally and how to stays competitive in the internet age. Tune in and make sure you see him live!